This sculpture in Lucerne, Switzerland commemorates Swiss Guards who were massacred during the French Revolution. Not seen in this photo is a pool of water beneath the monument. 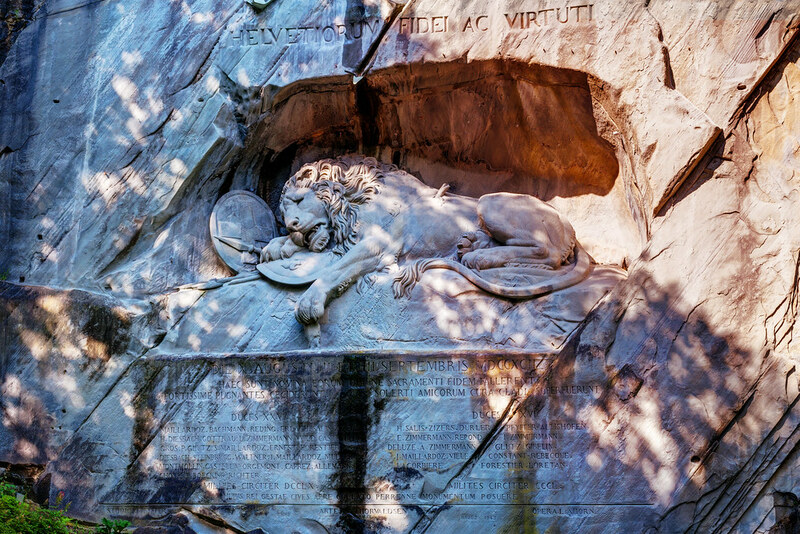 This entry was posted in Switzerland and tagged lion, lucerne, statue. Bookmark the permalink.